The National Coffee Association U.S.A is proud to name Grounds For Health as the first-ever recipient of the NCA Origin Charity of the Year Award. The 2018 award is generously sponsored by Mother Parker’s Tea & Coffee. Two program Finalists – meriting special mention – were Coffeelands Trust, a project of the Polus Center for Social & Economic Development, Inc., and The Coffee Trust. Smallholder farmers across the world, regardless of their crop they farm, face a wide array of challenges – from weather and changing climate, to the infrastructure issues prevalent across developing nations, such as a lack of medical care, schools, and other services. This year’s recipient demonstrates the power of focusing on a problem that has a solution. Grounds for Health addresses one of the most significant disparities in women’s health globally. Cervical cancer is a nearly 100% preventable disease, and yet in the next 15 years it is expected to kill six million women – 90% of whom will live in developing countries. And considering that women do an estimated 70% of the fieldwork on coffee farms globally, providing basic screenings and preventative care can have a huge impact across families, farms, and communities. “Our judges felt that Grounds for Health earned this honor because of their accomplishment, their efficiency, and their commitment to improving the lives of female coffee farmers by addressing women’s health in underserved coffee communities,” said William (Bill) Murray, President & CEO, National Coffee Association. The award was presented at the NCA 2018 Annual Convention in New Orleans on March 16. They attended the Convention as a guest of NCA, and presented their program to the NCA’s leadership during a Board of Directors’ meeting. The NCA website will also feature a link encouraging donations directly to the organization. 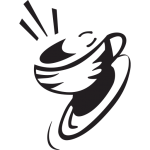 Coffeelands Trust, a project of the Polus Center for Social & Economic Development, Inc. to support coffee farmers and their families who have been impacted by landmines and conflict. The Coffee Trust, an organization that helps empower indigenous coffee farmers to improve their agricultural practices, diversify their incomes, and grow/raise healthy food for their families. The National Coffee Association developed the NCA Coffee Gives Back Program to recognize the work of organizations to support coffee communities at origin. The Program is comprised of the NCA Coffee Gives Back Charity Showcase, the NCA Origin of the Year Award, and the annual Day of Service at the NCA Annual Convention. The NCA Charity Showcase is a new online portal intended to highlight the range of initiatives from coffee charities at origin. The platform is intended to connect nonprofits with consumers and companies, encourage conversation, and inspire new ideas. Working together, the coffee industry can create meaningful positive change through increasingly effective and insightful initiatives. “As the industry leader, NCA felt that it was important to honor, support – and help spread the word – about the incredible work being done by so many to help coffee communities worldwide,” said Murray. NCA membership is not a prerequisite for participation in the Coffee Gives Back Program. The deadline for the 2019 NCA Origin Charity of the Year Award will be set for September. Applications for the NCA Coffee Gives Back Showcase are accepted on a rolling basis. The National Coffee Association of U.S.A., Inc. (NCA), established in 1911, is the leading trade organization for the coffee industry in the United States. The NCA is the only trade association that serves all segments of the U.S. coffee industry, including traditional and specialty companies. A majority of NCA membership, which accounts for over 90% of U.S. coffee commerce, is comprised of small and mid-sized companies and includes growers, roasters, retailers, importer/exporters, wholesaler/suppliers, and allied industry businesses. Visit ncausa.org to learn more.